Speichern Sie den Artikel dLAN® 500 WiFi PowerlinePowerlineYou can already experience the home of the future - within your own four walls. Because devolo offers you quick and secure home networking with dLAN® (direct Local Area Network). Especially easy to install and with almost unlimited expandability. Learn more in einen vorhandenen Merkzettel oder erstellen Sie einen Neuen. 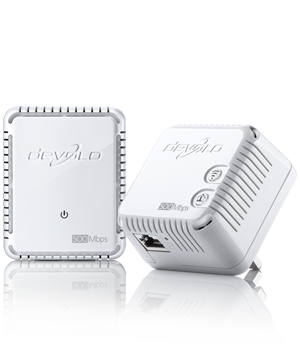 Finally have WiFi throughout your home − the devolo dLAN® 500 WiFi adapter makes it possible! The PowerlinePowerlineYou can already experience the home of the future - within your own four walls. Because devolo offers you quick and secure home networking with dLAN® (direct Local Area Network). Especially easy to install and with almost unlimited expandability. Learn more adapter provides you with fast WiFi over the electrical wiring. The adapter expands your existing dLAN® network throughout your household electrical wiring without signal loss. Watch movies and series, listen to web radio, discover music and podcasts. Stream the latest blockbuster or enjoy the latest episode of your favorite series without the hassle of loading times and delays. The dLAN 1200+ WiFi ac makes it possible - also for music or YouTube tutorials for cooking and DIY, of course. Equip your home office with the latest dLAN technology and benefit from fast and reliable data transfer. Whether your office is in the basement or on the top floor of the house: dLAN takes the Internet exactly where you need it. You can also connect your game console to the Internet with ease. Benefit from the numerous options dLAN offers and do not make any compromises. Smooth streaming and gaming ensure the best entertainment directly at your home. PowerlinePowerlineYou can already experience the home of the future - within your own four walls. Because devolo offers you quick and secure home networking with dLAN® (direct Local Area Network). Especially easy to install and with almost unlimited expandability. Learn more adapters provides you with high-speed Internet from the electrical socket. Connect your computer, consumer electronics and additional network-compatible devices to the Internet easily using the simple home network. You can reach longer ranges without power loss thanks to range+ Technology. The Powerline adapters use the household power line for the Internet connection, making any power outlet an Internet connection. A fast connection in all rooms and on all floors is now possible without complicated wiring. Get your LAN from the electrical socket − on all floors, in the basement and even in the garden with Powerline. WiFi Move Technology is the intelligent expansion of your existing Wi-Fi network. This provides you the best Wi-Fi reception throughout your home – and it happens completely automatically (at least two dLAN® 500 WiFi adapters required). High-speed data transmission at powerlinePowerlineYou can already experience the home of the future - within your own four walls. Because devolo offers you quick and secure home networking with dLAN® (direct Local Area Network). Especially easy to install and with almost unlimited expandability. Your home network from the power outlet. Unpack. Plug it in. Get started. The easy way to connect using your home's power lines. Turn any power outlet into an Internet access point. Compact design for convenient placement throughout the home, at any power outlet. The dLAN® 500 WiFi adapter lets you use your WiFi over the electrical wiring wherever you need it – whether it's in your home office or on the couch. Take advantage of innovative WiFi Move Technology for optimal WiFi reception throughout the home, allowing you to automatically connect multiple adapters to form a single WiFi network. Our free Cockpit app for iOS and Android lets you intuitively manage your home network. The adapter is also equipped with a LAN port for terminal devices like computers, smart TVs and game consoles. This eliminates the need for complicated wiring and lets you connect your devices directly to the nearest electrical socket. More than 40 million satisfied customers already use innovative devolo dLAN® technology. dLAN® PowerlinePowerlineYou can already experience the home of the future - within your own four walls. Because devolo offers you quick and secure home networking with dLAN® (direct Local Area Network). Especially easy to install and with almost unlimited expandability. Learn more has made complicated wiring a thing of the past - get your Internet access directly from the electrical socket from now on. Can Wi-Fi be used simultaneously with the integrated LAN port? Yes, Wi-Fi can be used simultaneously with the LAN port. Which Wi-Fi-capable devices can I connect to dLAN® WiFi adapters? You can connect any current mobile device with a Wi-Fi module to dLAN® WiFi adapters - giving you a fast wireless connection to the Internet and your home network. 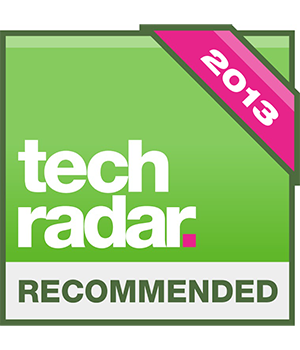 This includes smartphones such as the Samsung Galaxy or Apple iPhone, tablet PCs such as the Apple iPad and notebooks. You can also network appropriately equipped consumer electronics in no time - such as a Smart TV or Internet radio. What are the prerequisites for using dLAN®? Where are the limits? dLAN® works throughout the entire mains supply network of the house or apartment, regardless of whether the building is old or new. Of course, the network has to be on the same wiring, and the wire length must not exceed 300 meters. However, different phases are not a problem. Power meters attenuate the signal strongly, but do not necessarily block it. Can I use devolo products even if I have different electrical circuits in my house? Yes, devolo products also work if you have multiple circuits (phases) in the house. You do not have to modify the mains supply, such as by installing a phase coupler. Can I also use devolo products in power strips? In a few cases, power strips - particularly those with integrated switch and surge protection - can impair performance. To attain optimal connections, we recommend using devolo products with integrated (pass-thru) electrical socket and plugging the power strip into the devolo adapter. Are dLAN adapters of different speed classes (200, 500, 650, 1200) compatible? Yes, dLAN products of different speed classes are fully compatible with each other. The only exception here is old devices with a speed of 14 and 85 Mbps. Unfortunately, these are not compatible with current products. For technical reasons, devices from the devolo Magic series are not compatible with dLAN devices. In a mixed network, each adapter connects to every other adapter at the highest possible speed. It does so independently of the other adapters in the network. In a network consisting of a 500 Mbps adapter and two 1200 Mbps adapters, for example, the 500 Mbps adapter will connect to the 500 Mbps adapters at a speed of 1200 Mbps. At the same time, the 1200 Mbps adapters connect to each other at the full 1200 Mbps. Product Informations dLAN 500 WiFi PowerlinePowerlineYou can already experience the home of the future - within your own four walls. Because devolo offers you quick and secure home networking with dLAN® (direct Local Area Network). Especially easy to install and with almost unlimited expandability.